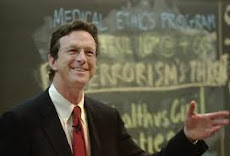 Musings on Michael Crichton: Pirate Latitudes to be Released in UK Before US? Pirate Latitudes to be Released in UK Before US? According to the Harper Collins UK and Amazon UK websites, the UK edition of Michael Crichton’s new novel Pirate Latitudes is scheduled for a Monday November 16 release—a full eight days before the US release on Tuesday November 24 according to the Harper Collins, Amazon, and Barnes & Noble websites. I’ll make some inquiries and see what I can find out. I don’t think I’ve ever heard of a book by an American author released abroad before being released in the US. Marla, I never heard of an American author publishing overseas before a domestic publiication date, either. Do you suppose it has anything to do with printing and/or distribution schedules in both countries to be on time for the Christmas shopping season? Thought you might know. I don't know the reason for this. I've sent emails to Harper Collins and Publishers' Weekly but no reply so far. I am a consummate anglophile but if the UK get Pirate Latitudes eight days before the US, I will be most put out. Listen to an Audio Sample of Pirate Latitudes! Who Said It: Carl Sagan or Michael Crichton?